Continental ContiTech, Ready 2 Go (R2G) System is all about. We know your time is valuable. That is why we want to help you get back to doing what you do pre-coupled Continental ContiTech Industrial Hose assemblies best, faster. The R2G System has ready for delivery, so you can do less waiting. 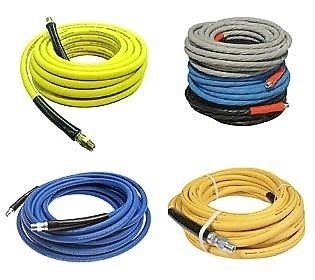 And since the R2G System is available in seven different hose categories, you can rely on us to have the hose you need, when you need it. It is convenience on a whole new level. Time is money and we are saving you both at Rainbow Precision Products Inc.